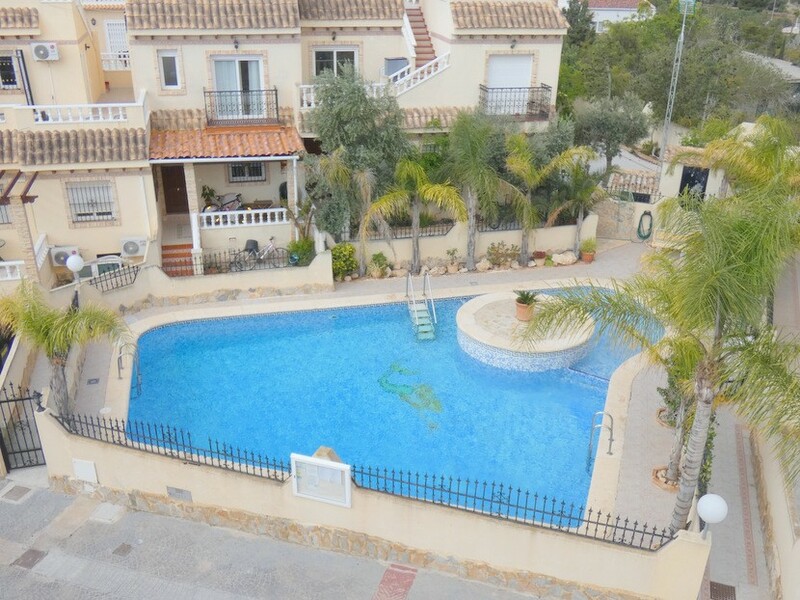 Overlooking the communal swimming pool. 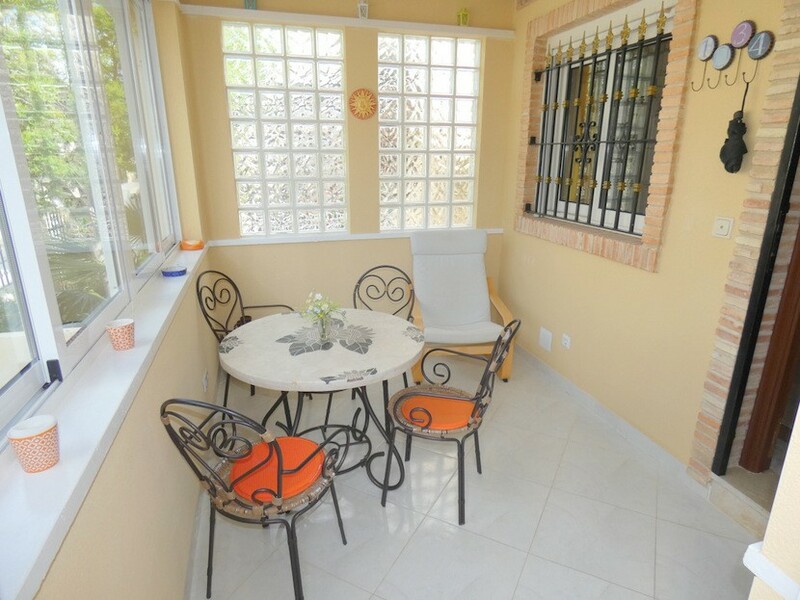 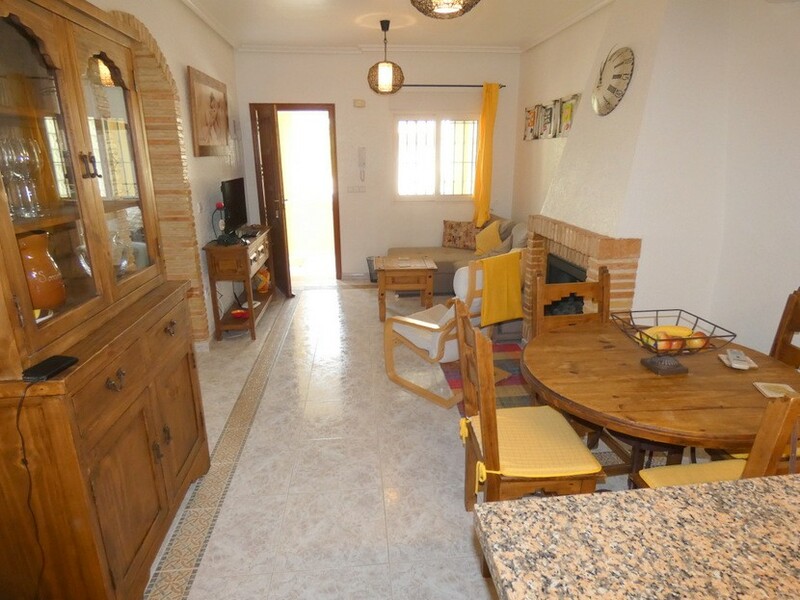 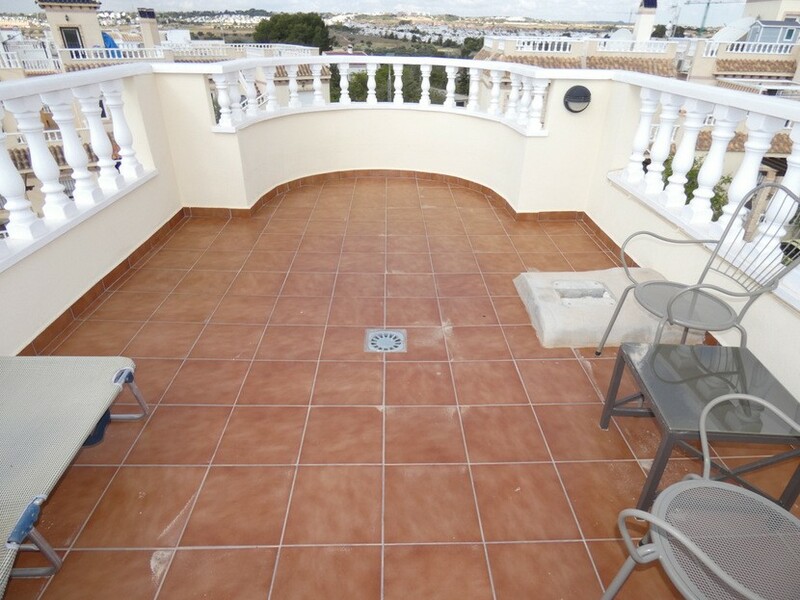 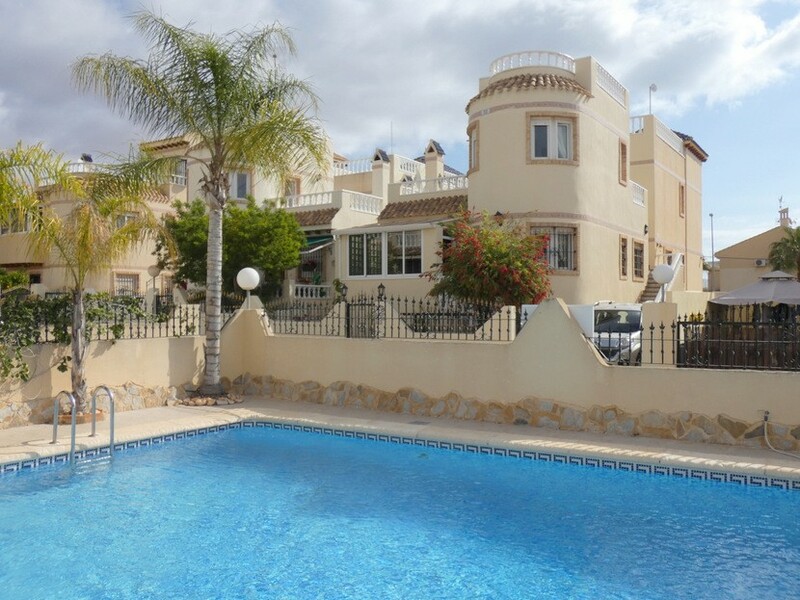 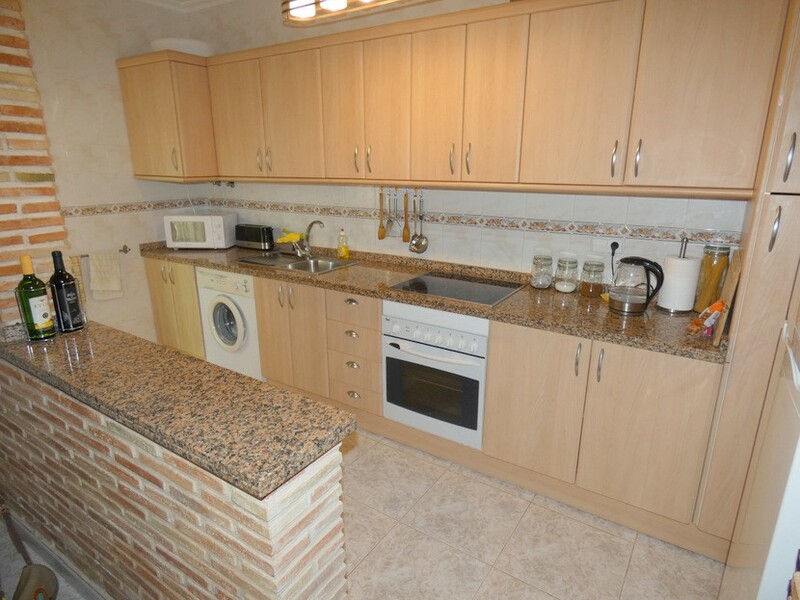 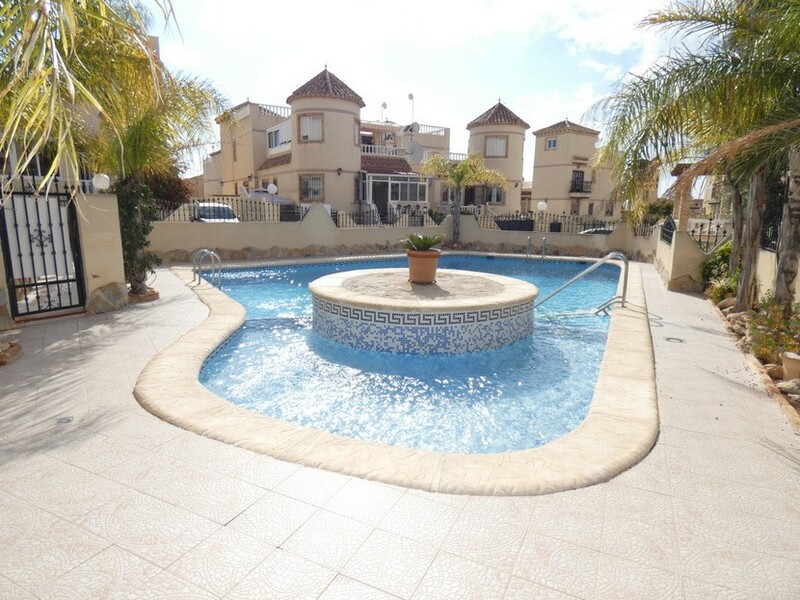 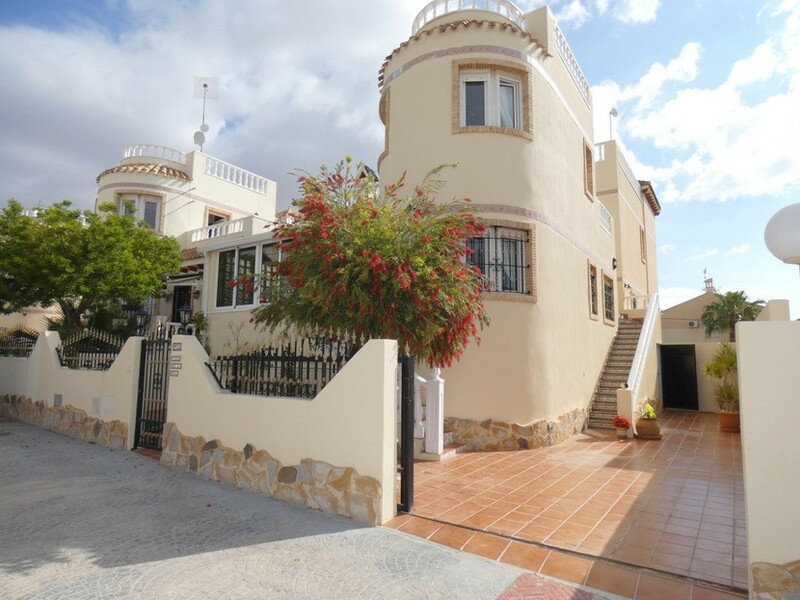 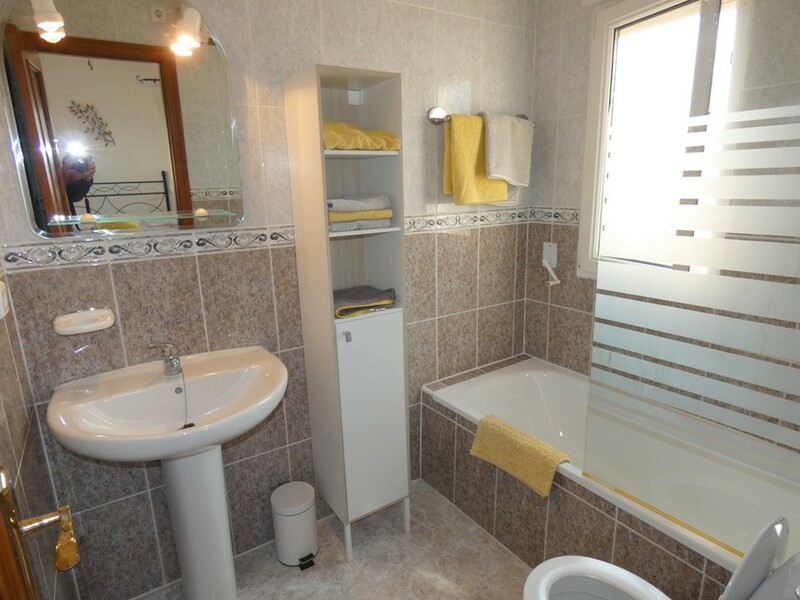 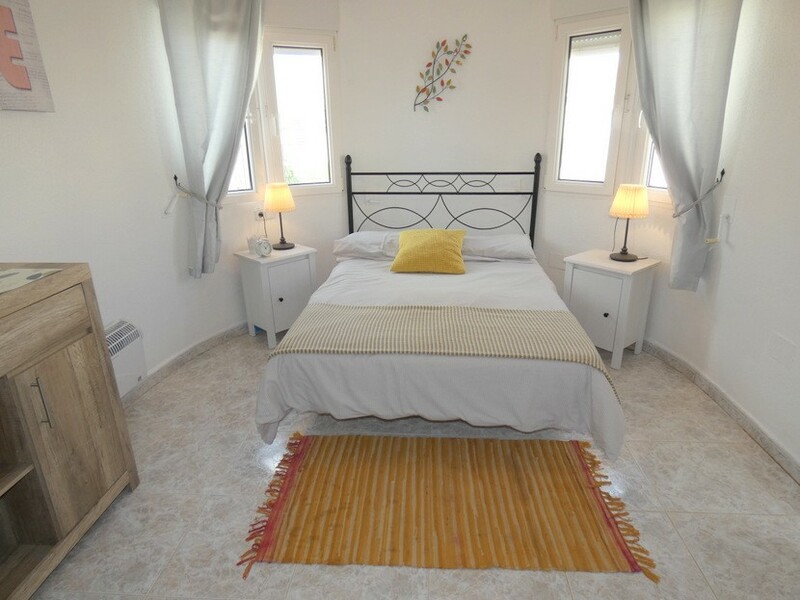 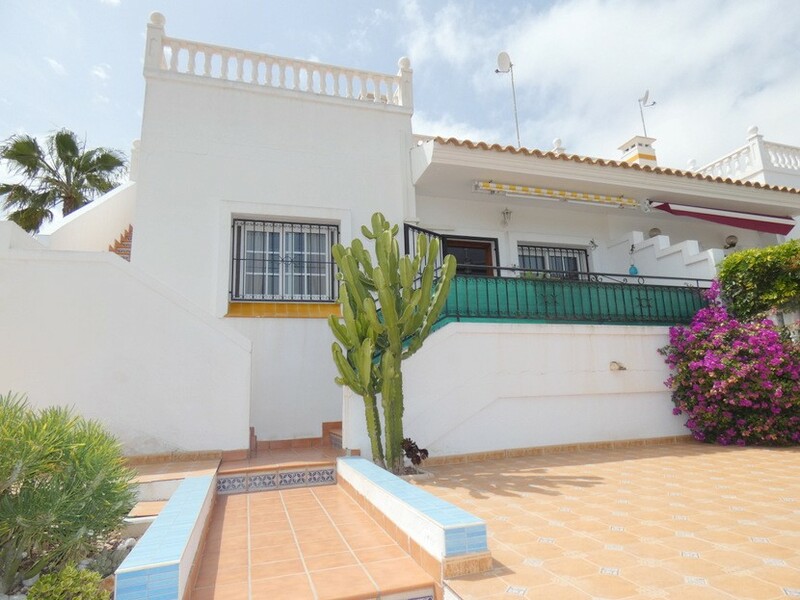 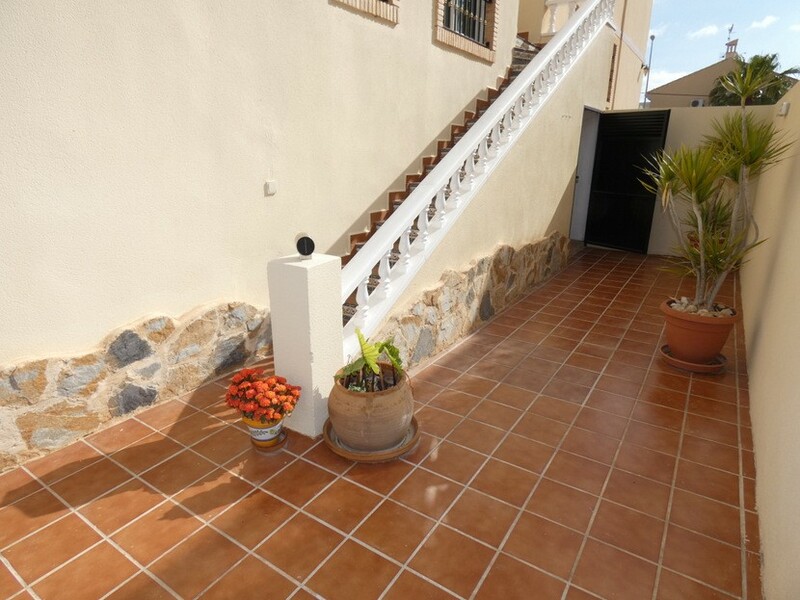 This very well presented 3 bedroom, 2 bathroom semi-detached villa is located in Las Chismosas near Playa Flamenca and is within easy walking distance to a very good selection of cafe bars, restaurants and shopping facilities. 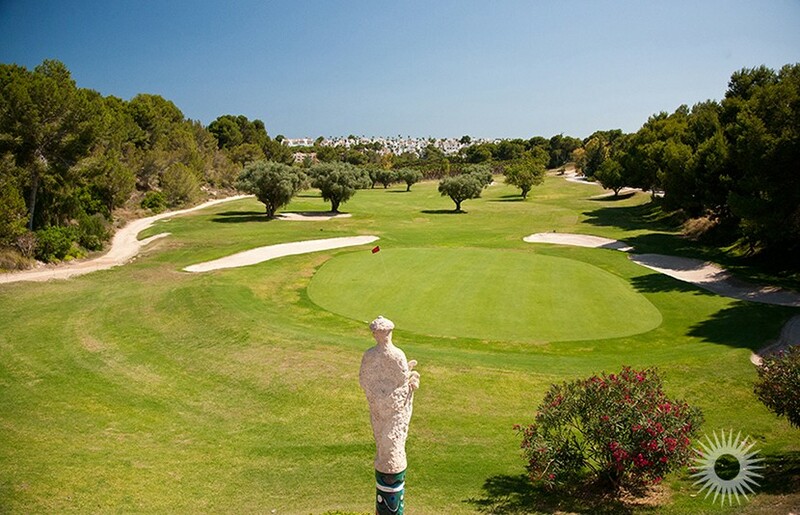 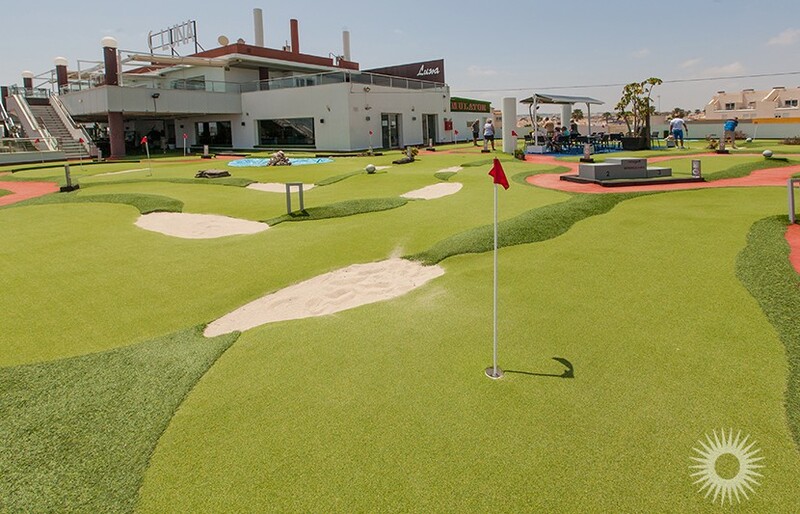 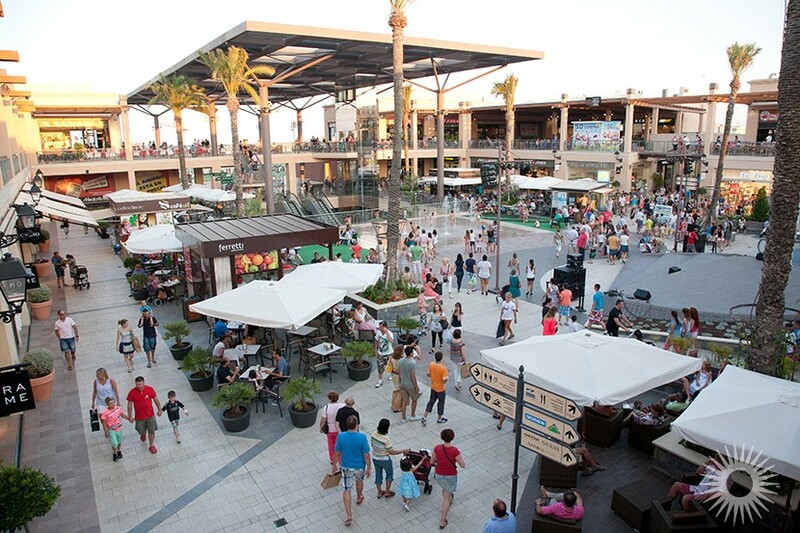 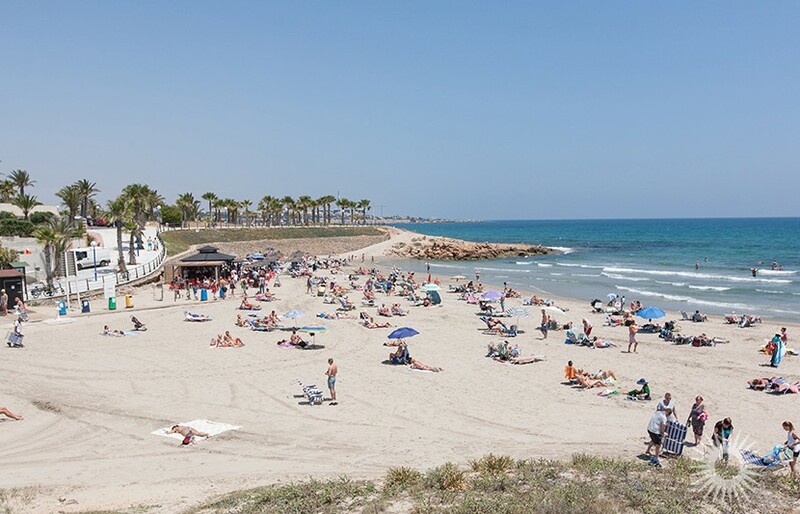 The beautiful sandy beaches of the Orihuela Costa and several 18 hole golf courses are just a few minutes drive away. 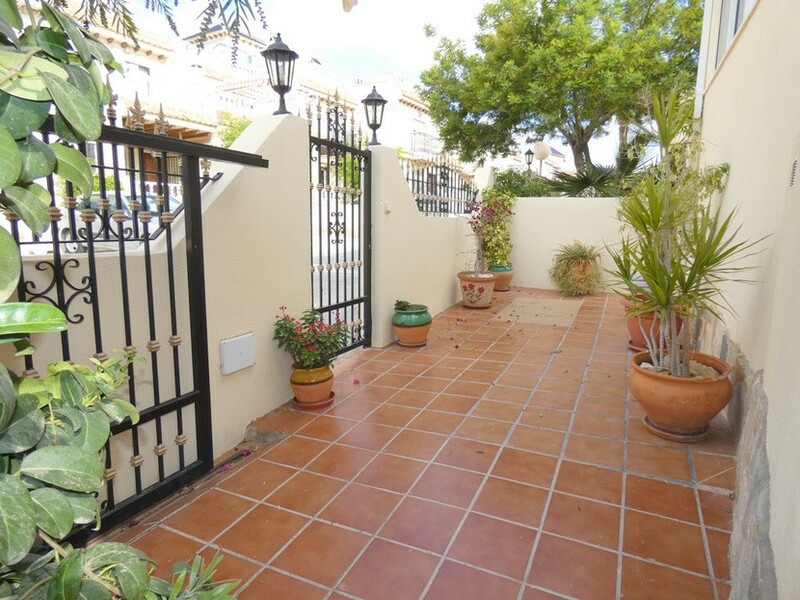 Situated inside a small gated development overlooking the beautiful communal swimming pool this property is comprised of a front and side terrace with off road parking and steps up to a conservatory with door to the lounge/diner with open fireplace, a fully fitted “American” style kitchen with door to the rear terrace, two double bedrooms with built in wardrobes and a family bathroom on the ground level. 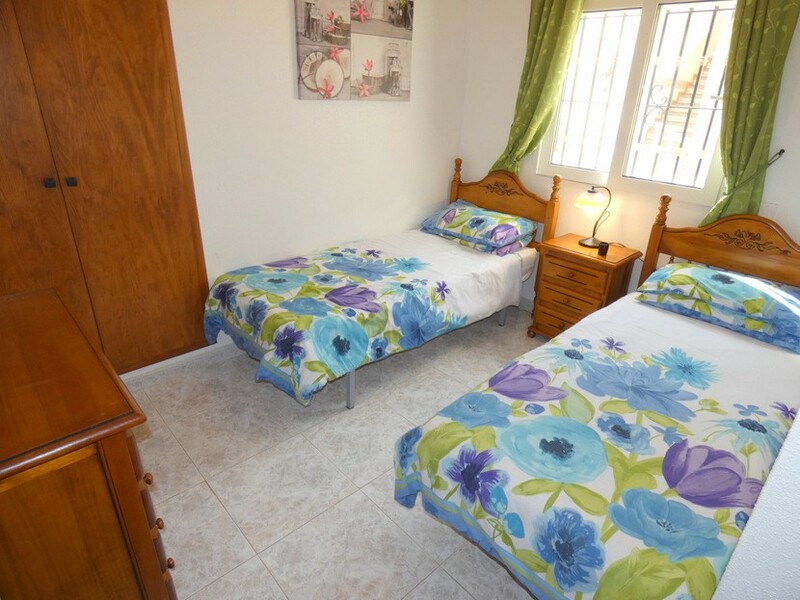 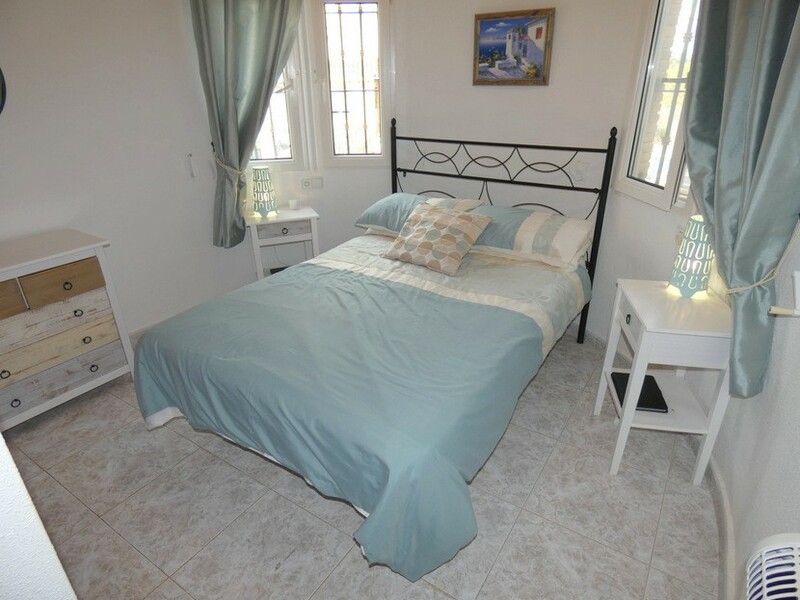 Upstairs there is another independent double bedroom with built in wardrobe and an en-suite bathroom. 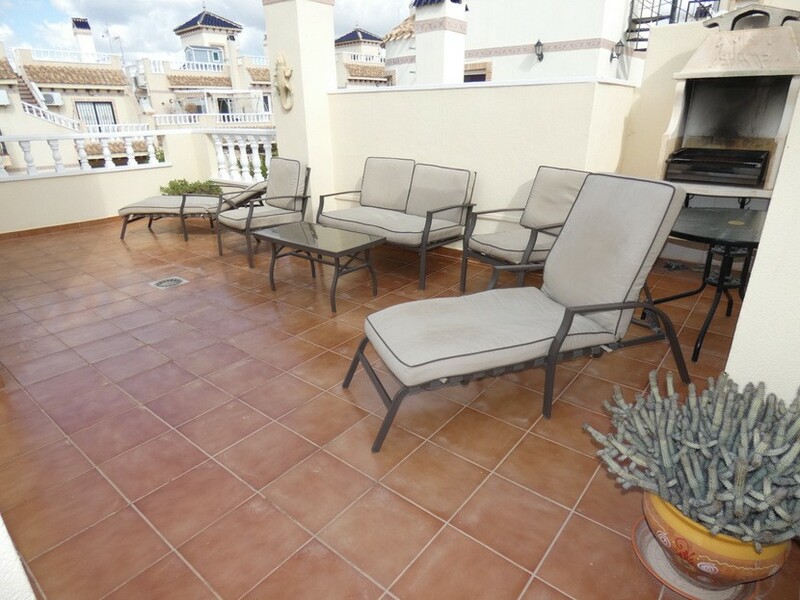 Also on this level is a large two tiered solarium with fantastic distant sea views. 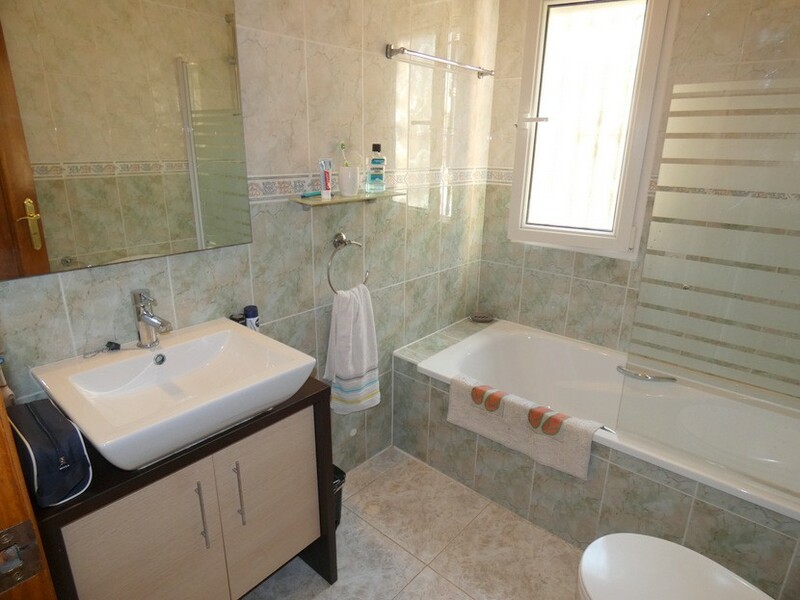 In addition, this property has a large underbuild for that all important storage. 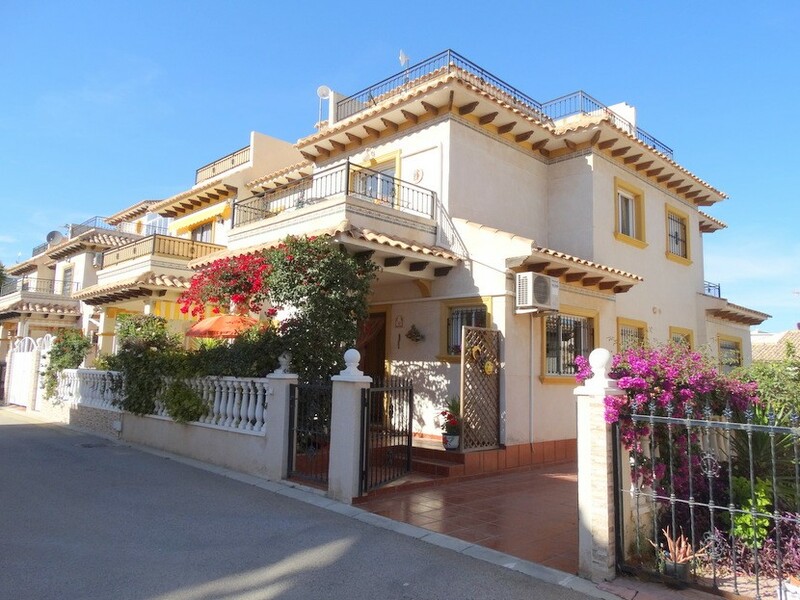 This property comes to the market in excellent condition throughout and the furniture is available by negotiation.